Made of 201 Stainless Steel.German Style. Pressed tooth form and smooth band edges help prevent damage to the hose. Easy installation for a slotted mounting screw. 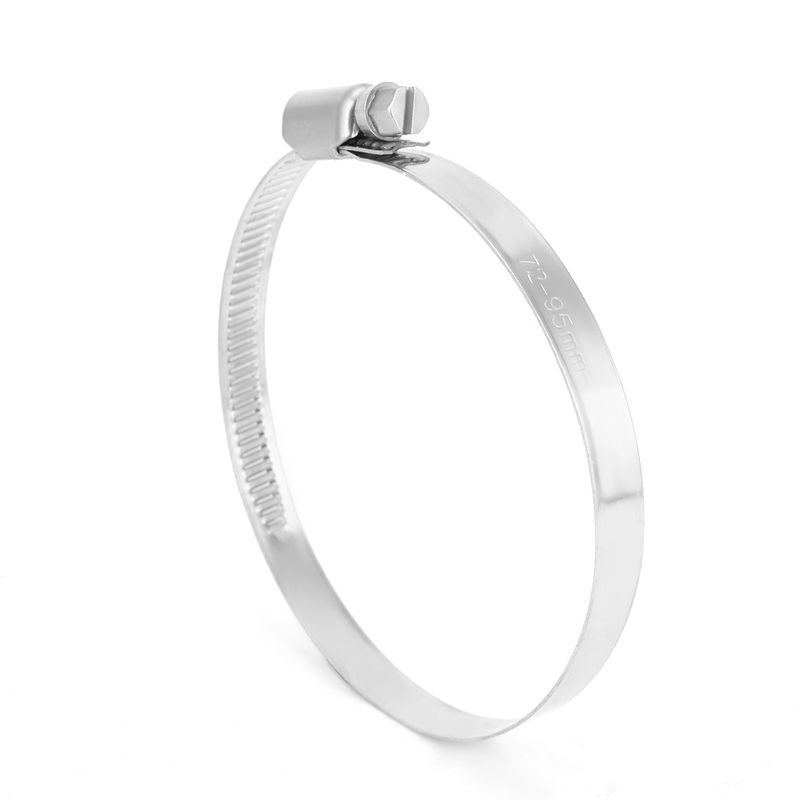 Release or tighten the bolt to adjust the band diameter range. Connection fasteners for water, oil, gas, hydraulic hose. Be safe, durable and capable in combating extreme clamping conditions for premium grade materials.